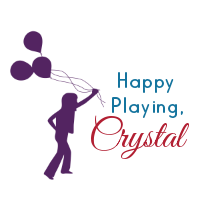 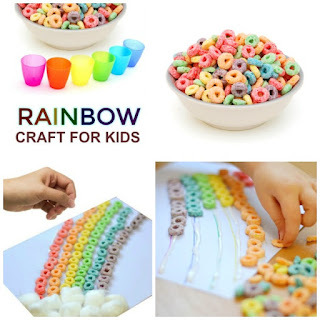 Here is a simple and fun rainbow craft the kids are sure to love. 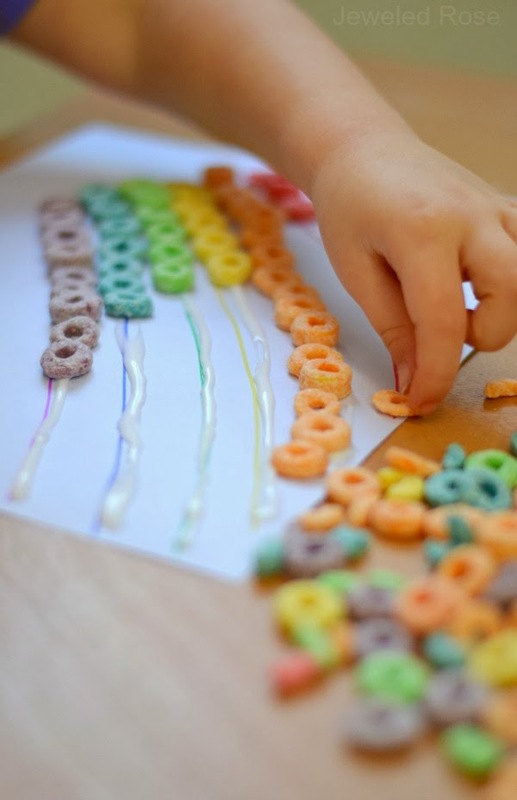 I remember making this craft when I was little, and it was really special to get to re-create it with my own children. 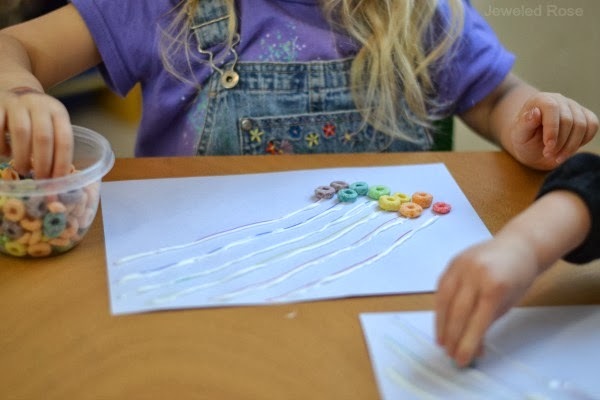 Begin by having kids draw the outline of a rainbow on their paper. If your children are younger you can draw the rainbow outline for them. 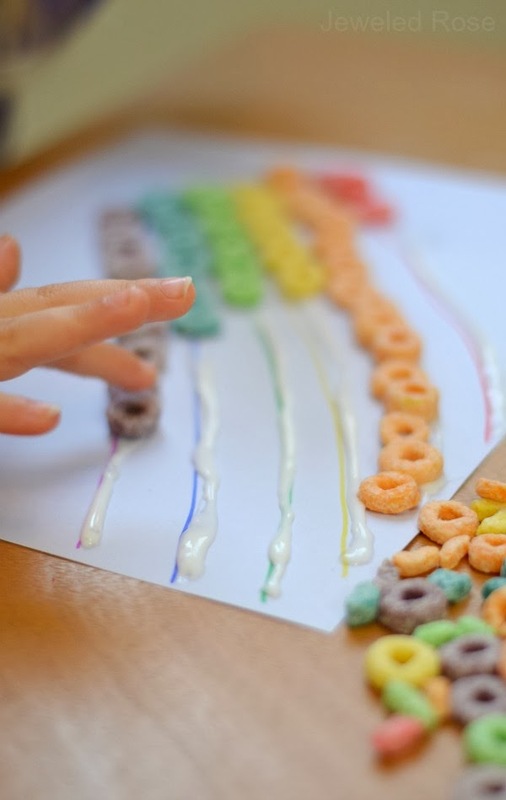 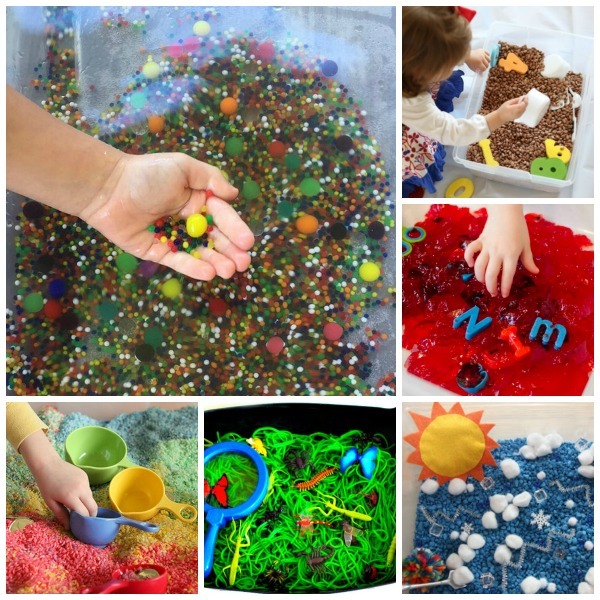 Have kids cover the rainbow lines in glue, and then the real fun can begin! 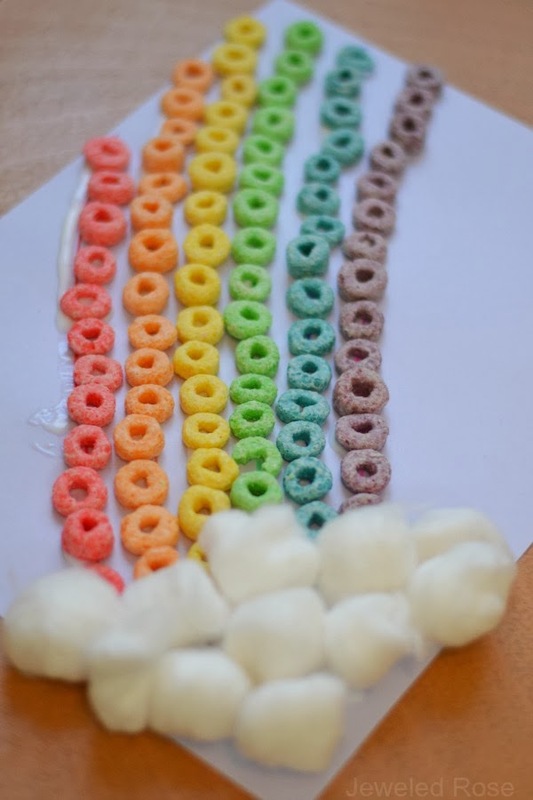 I gave Rosie and Jewel a large bowl of Fruit Loops, and they had lots of fun sorting the cereal colors and placing them onto the rainbow lines. 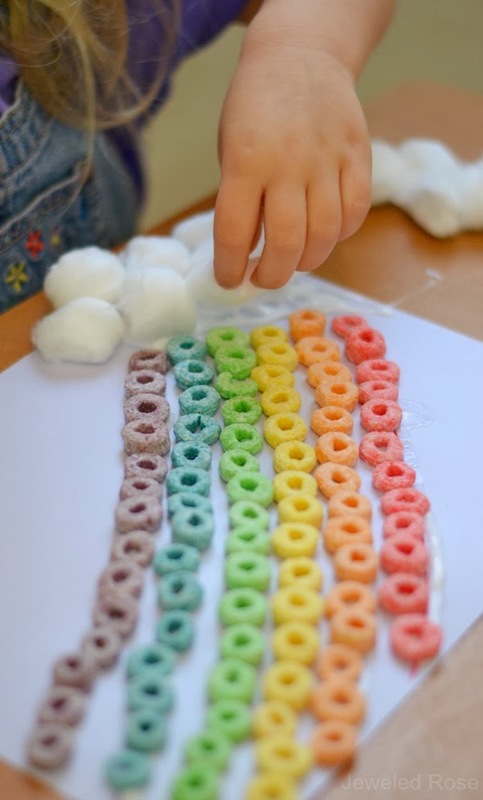 This craft is great for reviewing colors & color sorting, and you can sneak in a bit of early math concepts, too! 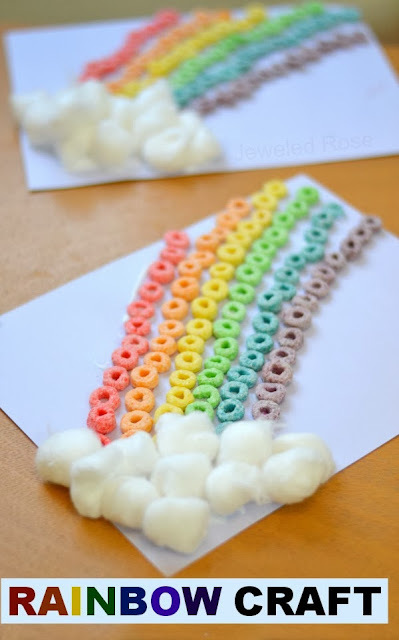 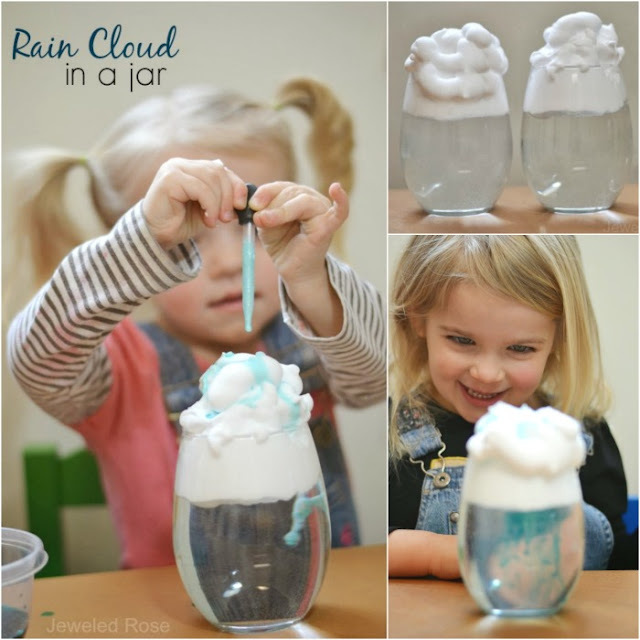 Once their rainbows were complete Rosie and Jewel glued a cloud to the end using cotton balls. 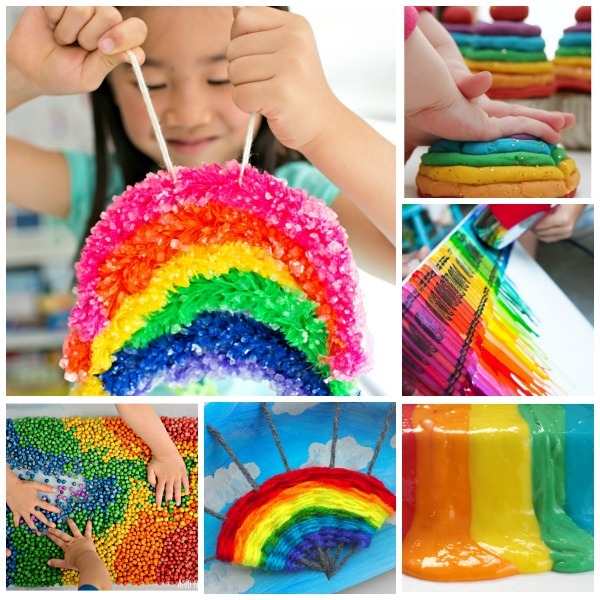 This simple craft kept my girls busy for a while, and they were really proud of their artwork after they were done. 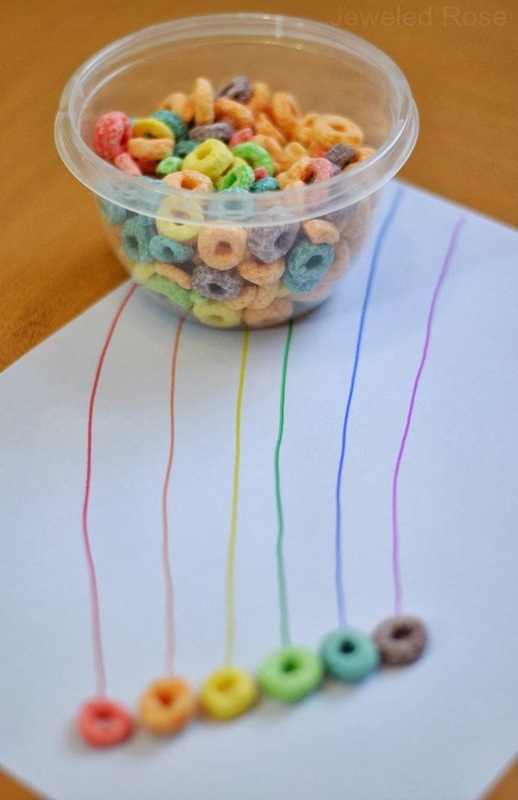 Once their cereal rainbows were dry we hung them on the wall to add a bit of color and sunshine to our indoor play space.